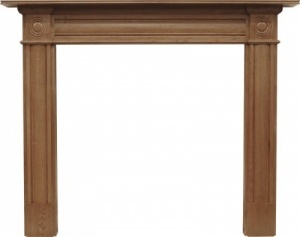 The Derry Georgian Style wooden fire surround c 1820. It and reeded and fluted jambs and frieze topped by bullseyes. 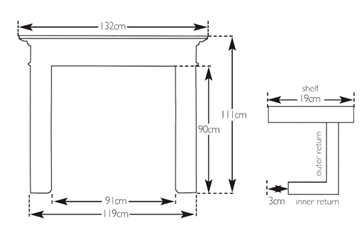 The item came flat packed in three section for self assembly - I don't remember reading anything to this effect at the time of ordering. The delivery driver was very helpful but agreed with me that pallet delivery was ott for this item. If I had known I would have opted out of the £50 delivery as it would have fitted in my car! The fireplace itself is otherwise fine and I am happy with it. Over the years, we have learned that the safest way to ship the fireplaces and fireplace surrounds is part assembled and on a pallet. Perhaps an over compensation, but we want the delivery to arrive to you safely and undamaged. Also many thanks for you feedback on the delivery driver and happy to hear that you are happy with your purchase.